Today, along with the rest of the NWSL, the Chicago Red Stars finalized their 20-player roster for the upcoming season, per the league deadline. With 17 of the required 20 players already under contract going into the preseason, there weren’t that many surprises on this Red Stars roster. Along with the four US Soccer Federation players in Casey Short, Alyssa Naeher, Julie (Johnston) Ertz, and Christen Press, the Red Stars offered contracts to two of their 2017 College Draft picks, Lauren Kaskie and Morgan Proffitt (third Red Star draftee Michele Vasconcelos will miss the 2017 season due to pregnancy). 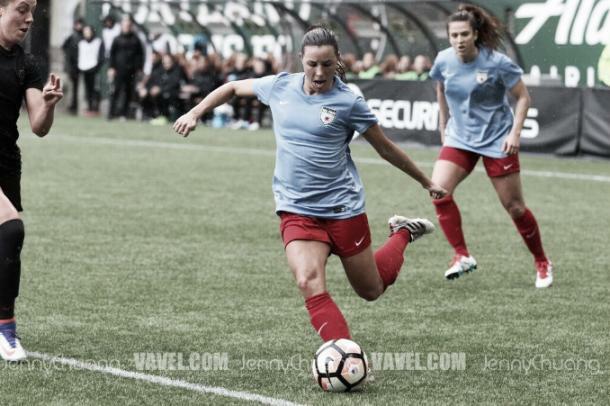 The Red Stars also offered their final contract to forward Summer Green, whose rights had been acquired from Seattle Reign FC over the summer. Green made her mark during this year’s preseason, scoring two intra-squad goals, a goal against Notre Dame, and a game-winning assist against the Houston Dash during the Portland Spring Invitational. 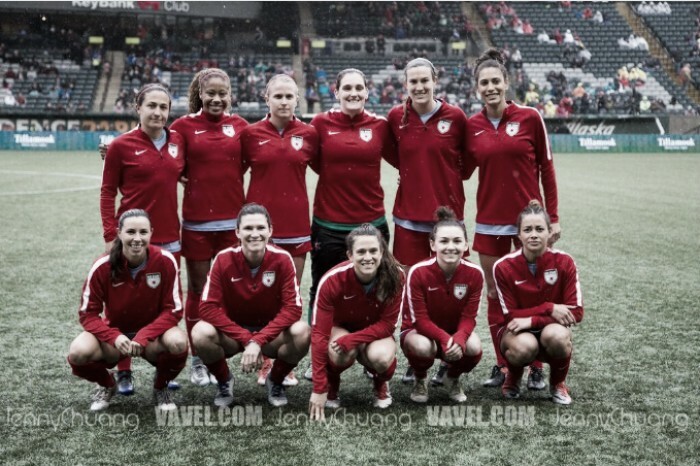 In order to make room for the new contracts, the Red Stars waived Courtney Raetzman and Cara Walls. A 2016 College draftee, Raetzman never really broke into the playing squad, only appearing for 52 minutes over the 2016 season. Walls was a little bit more established with the team, and had made 22 appearances, and finished with two goals and one assist over two seasons. Chicago will kick off the fifth NWSL season on Saturday, April 15th against the Houston Dash at 1:00 p.m. CT at BBVA Compass Stadium.